When having a baby, a changing mat is practically an indispensable tool. A changing mat helps you to change diapers in a safe, comfortable and hygienic manner. Matty is a soft cushion mat that can be placed directly on the changing table or directly on the floor, precisely where you need it. 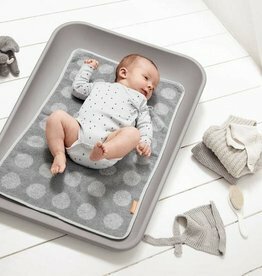 A changing mat is used for changing diapers. Let’s face it, when changing diapers, something other than water may hit the mat. 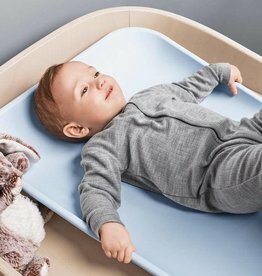 Choosing a changing mat that is easy to clean makes sure that the mat is hygienic and ready for use the next time a diaper needs to be changed. 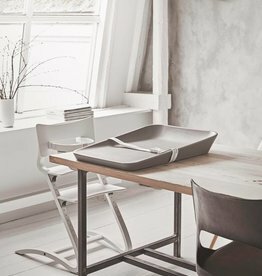 Matty is an all-in-one changing station for at home or on the road. Unlike many other changing mats Matty is made in a material that is soft to the touch. No need for a cover or towel.